In what we can only assume is part of a wider plan to destroy the Republican party by driving its most fervent members into fits of potentially lethal apoplexy, the White House has announced that President Obama won’t be at the funeral of former First Lady Nancy Reagan, as he’ll be too busy hanging out with all the Hollywood elites, tech influencers, and godless liberals at Austin’s South By Southwest festival. 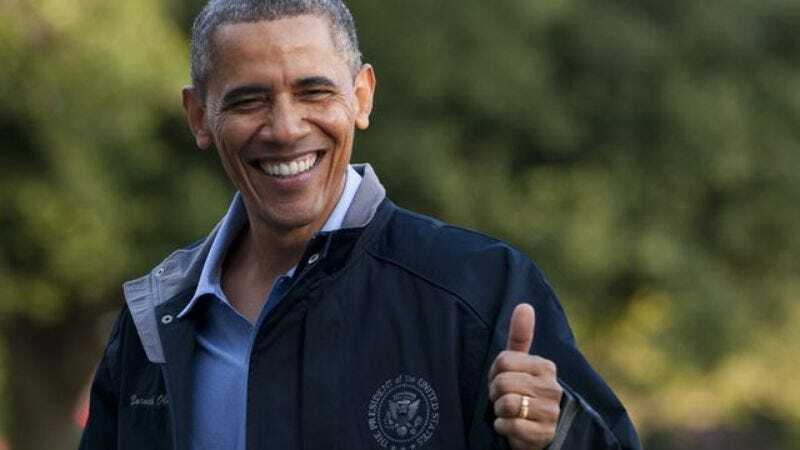 Obama announced that he’d be giving the keynote address at this year’s festival last week, before Reagan died on Sunday, of congestive heart failure. This is the second prominent conservative funeral Obama’s avoided in the last few weeks: He also skipped out on services for Supreme Court justice Antonin Scalia, sending Vice President Joe Biden in his place. Obama paid his respects to Scalia during a viewing before the service; rumors that he was busy trying to score early tickets to this year’s Coachella or Bonnaroo during the funeral itself remain merely hearsay as of now.